Why should Children study Robotics? Integration of mathematics, science, technological contents and coding is one of the main aspects of the newly envisaged modern curriculum. Robotics may seem to be very extravagant or avant-garde from a distant perspective but come closer and you will see what wonders it contains. It is a source of high erudition and provides emphasis on team-based and hands-on learning coupled with the implementation of problem-solving ideas. Robotics is highly engaging and inspires higher-order thinking. Now these skills seemingly hold high priority in the 21st century. It is therefore better to enroll children into robotics from the start because young minds possess flexibility. This makes them capable of grasping the subject matter quite efficiently and quickly. After all, knowledge is of little value unless he/she puts it into practice. Unleash your child's creativity. Give him/her the platform to do that. Robotics is basically that “platform” which will allow your children to bring their ideas to reality. 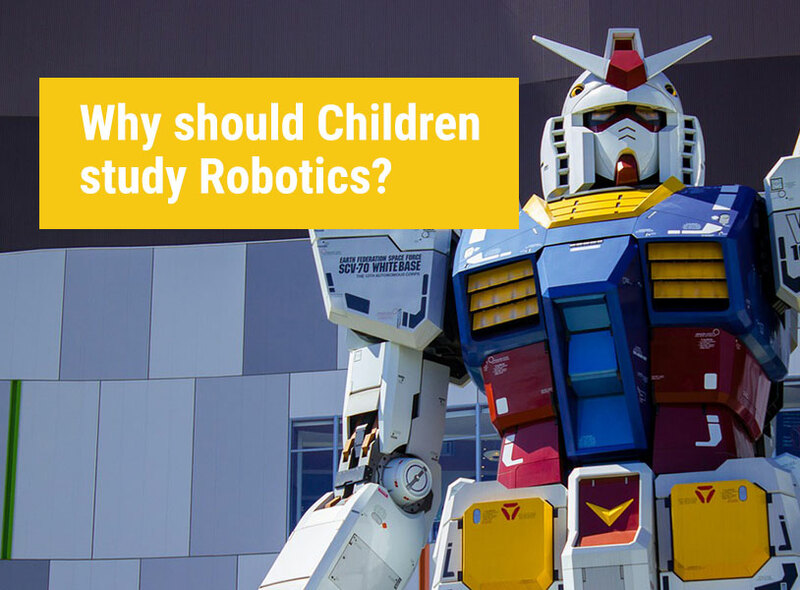 Now let's have a look at some detailed reasons why children should study robotics. 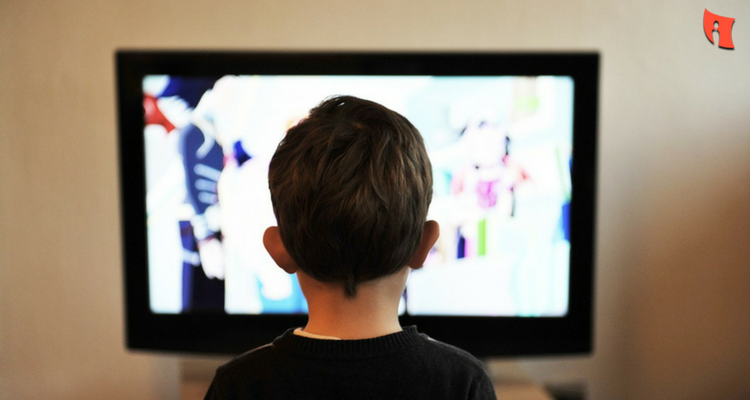 Almost every modern generation child is submerged in technology in the form of smartphones, digital toys, computers, game consoles etc. But is it enough for children to just know how to access those digital technologies without understanding the reasons behind them? Now we are not saying that he or she should understand the entire complexity of the technology. Just the basics! But this is difficult to conceptualize from the abstract view point because most of these technologies are intangible. Now robotics is different. Children can actually touch this form of digital technology directly and can orchestrate them directly as well. Let's take the concept of the “center of gravity” in Physics. The textual words and the diagrams are not enough to make the conception very clear. A practical experience will make the topic much easier to conceptualize. Let’s say that a child constructs a robot which is very “heavy around the head”. This will make it easier for the child to topple the robot. Now he won't be able to do that so easily to a robot having a lower center of gravity. Science, Technology, Engineering and Mathematics (STEM) are not only meant to be for school ‘genius’es. The benefits of these subjects are endless. Future career choices can be based on these subjects and hence a strong base is needed. Robotics, in this rapidly progressing technological era can form a strong base of STEM in your child. It’s hands-on experience learning of STEM and develops the ability of critical thinking in your child. Robotics develops the question of “How can it perform that?” in your child. Hence, it develops the natural critical thinking ability. And after he/she finds out the answer to that question, he/she develops a firm grasp of the concept behind it. The best thing is your children would not even realize that they're learning all these while having fun. The most essential skills in life are understanding the cause behind an outcome, accompanied by understanding the effect of the same outcome. We try to instill such skills in our kids from birth. Then why don't we do the same in his technical education? Robotics will enhance your child's curiosity and will also nurture his decision-making abilities. He will be able to decide what to do to modify a robot in order to make him perform certain functions as per his will. The field of robotics has great potential to improve your child's self-confidence. 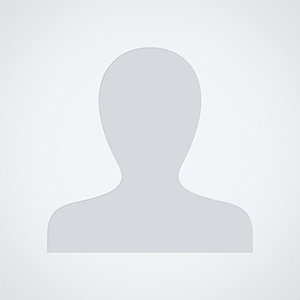 He/She develops the ideas of creating digital gadgets (a form of robot) and can actually implement them in practice. This creates a deep and unshackling experience, thereby instilling self-confidence into your child. After successful implementation with a positive outcome, your child will have that feeling of accomplishment which will give him immense satisfaction and motivate him/her to go back for more. Lego sets generally come with an instruction manual. These instruction manuals can sometimes be a barrier for certain children who actually distrust their own imagination and want to go by the books only. At Futurite, students are provided with the goal to cast their manuals aside. Gradually, students learn that the best instruction manual is their own creative ideas. The Futurite courses featuring “BEGINNING ROBOTICS USING LEGO WEDO” and INTRODUCTION TO ROBOTICS USING LEGO MINDSTORMS” allow the students to come to this realization. There's nothing more emancipating than this experience. Creating something and then actually watching it function before his/her own eyes is the best possible satisfaction that a child gets. At Futurite, students actually see robotics as a source of amusement; a hobby. They certainly don't see this only as a strict educational activity. Students willingly engage themselves into the activities. Robotics is always fun to learn. The students will not even realize that they are actually learning through these activities. Technology is advancing every day. Children all over the globe are getting the exposure to robotics at a much younger age. Why don't we get up and do the same thing? It's basically the future technology with huge career prospects. Let's gift our child the stepping-stone to a successful career.